Chris Schenk: Who's is a Social Media "Connector"? Who's is a Social Media "Connector"? In social media we have a lot of interesting names we throw around from time to time. To describe the people who are in the Social Media sphere. While I know not everyone is about titles, some of these names help us to distinguish who and what people in this space do, for instance I've listed some below to demonstrate my point. But one that I would like everyone to consider is Social Media "Connector". Who is a Social Media "Connector"? 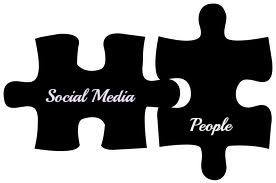 I think it is a person who uses Social Media no matter what platform it is to connect people to people, people to businesses, and businesses to businesses. Why do we need Social Media "Connector"s? I think it is the next evolution in Social Media users. I think with all of the Social Media Mining and Analytics, (and as more and more people start to understand these tools), that this will be one way that an individual user is going to be able to bring value back to their followers, and the causes they are passionate about. What are the advantages to being a Social Media "Connector"? I know everyone wants to be a Social Media "Expert", but let's face it, what if you can't be? What if you just don't have the following, tribe, or platform to be an Expert, then what? Are the rest of us just supposed to quit and just accept our place as minor league Social Media players? I'll leave you this parting thought. I don't think so, if you can't be an expert then why can't you be the person who knows the experts? and the person who brings them together? That's right you can be that person. So don't sit there anymore and say you don't have a place in Social Media, because I just gave you one. Be a "Connector" and be proud that your making a difference.